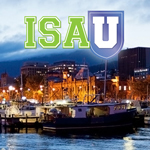 Will you be joining us at IsaU Hobart? If you haven’t got your tickets to IsaU Hobart yet you better get in quick! You won’t want to miss out on this one day of power training with amazing speakers, inspiring success stories and exclusive product and business training. Our jam-packed agenda will have you leaving the event fully equipped to take your business to the next level. Expand your product knowledge! Acquire the ins and outs of using, sharing and building your business through the Isagenix product systems. Take your business and life to a whole new level – tickets are still available to purchase through your Back Office!